Part of what makes historical fiction so wonderful for kids to read is that they can learn so much about the past in an entertaining way. 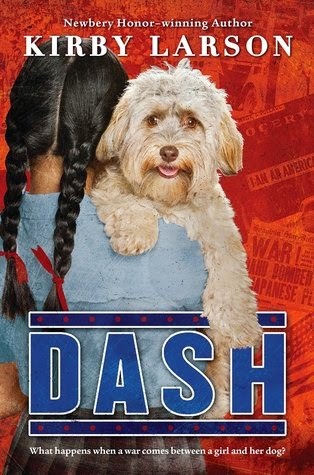 Dash, by Kirby Larson, does a great job taking a true story about Japanese internment camps and making the history accessible and fun for young readers. Mitsi is a normal fifth grader living with her family in Seattle. She has two best friends and a beloved pet—a dog named Dash. Though her Japanese heritage is important to Mitsi and her family, it becomes a liability when Pearl Harbor is bombed. She is shunned at school, and her family is relocated to an internment camp. Larson excels at describing how these camps are a great departure from normal, stable family life. The unpalatable food, the cramped quarters, and the lack of privacy are well described, as is the sense of isolation and confusion that Mitsi felt. At the heart of this sadness is that Mitsi had to leave her beloved dog, Dash, with a neighbor after failing to get permission to keep him in the camp. The impact of internment on the family is clearly outlined. Mitsi’s brother falls in with a rough crowd, and he learns how to make money in the camp. Her father is forced to make all of he furniture that his family needs, and Mitsi’s mother draws near to other women for emotional support. Mitsi finds a friend in the camp and sets out to get enough money from delivering messages to buy a locket to keep Dash’s picture in. At the heart of this story is the true historical record. Just like in real life, the neighbor who kept Dash wrote letters to Mitsi from Dash’s viewpoint. The letters are sweet and serve to lessen the loneliness of a girl treated so unfairly. Dash is a novel about the power of goodness and kindness. 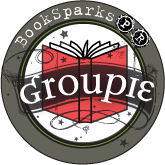 In addition, it illustrates a part of history that middle grade readers should learn about. The time period comes alive in Lawson’s capable hands and kids will read about the great games, candy, and clothes popular during the 1940s. Sweet and easy read for kids 7-12.